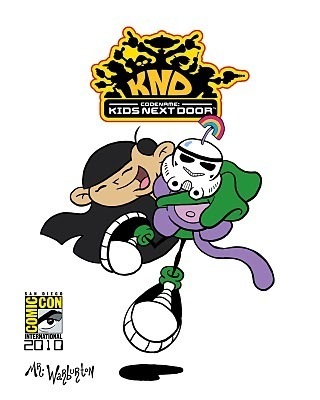 numbuh 3 at comic con. . Wallpaper and background images in the Codename: Kids inayofuata Door club tagged: kids next door cartoons codename kids next door characters. In case you were wondering, that's the "These Aren't The Droids We're Looking For!" Rainbow Monkey! Yup, Mr. Warburton's 1st Sci-Fi Rainbow Monkey!